There’s not a great deal to be said about the BOJ knife sharpener. 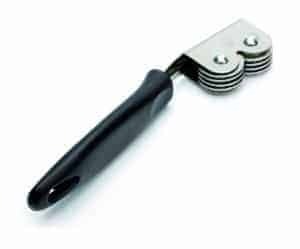 It is a very simple pull through manual tool proving very popular with those after a for cheap and convenient way to sharpen their knives. However, we have seen this many times before with a huge range of manual sharpeners. What makes the BOJ any different? BOJ itself comes from Spain and has been operating since 1905. 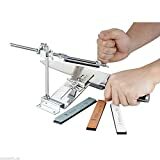 The company does not seem to have a website, (we couldn’t find one) although many retailers throughout the world, (both physical stores and eCommerce sites) do stock the BOJ knife sharpener. 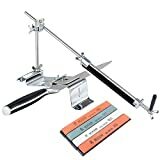 It is our understanding that the sharpener has sold well online, not through any marketing from the manufacturers, but for being affordably priced and for pleasing such a high percentage of its customers. The BOJ knife sharpener has pleased a number of its online customers and is worth checking out on that fact alone.